Come Diwali, and our homes are filled with fragrant and delicious but mostly unhealthy food. The endless boxes of chocolates, cakes, dried fruits, fried chips, sweets, canned soda and juices certainly complete the idea of a bustling and fun Diwali, but the mindless binging can be really harmful to the body. Fret not, for this Diwali, you can switch to an array of healthy and delicious party snacks made using the simplest ingredients. So keep the party going, dance away with joy as you successfully keep off those empty calories. If you really want to give your taste buds a real treat without piling on guilt and pounds, try this amazing hummus platter. Chickpeas, which form the basis of this middle eastern dish, is a fibre-rich legume that aids weight loss, improves immunity and stabilises your blood sugar levels. 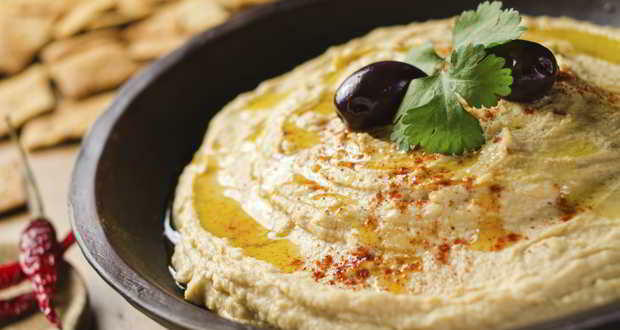 Combined with the goodness of fresh veggies like carrots, cucumbers and broccoli, hummus makes for a great Diwali dinner. It is good for your health, takes little effort to put together and is a great way to get your family together over a big platter of hummus and veggies. In a grinder, add the boiled chickpeas, tahini paste, garlic, and some reserve chickpea water. Serve on a platter with the vegetables and make your guests go wow! Can also serve with multigrain crackers.